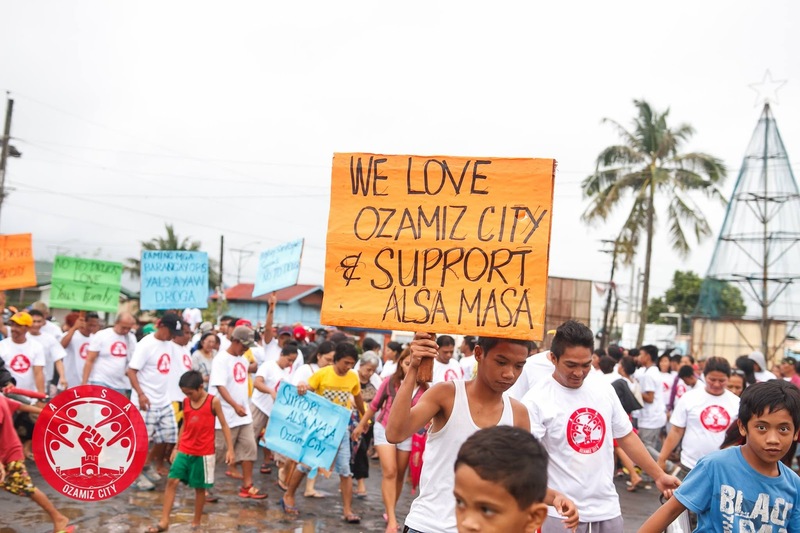 From the ashes of its dirt-laden image, Ozamiz City is rising loud and proud with its latest crusade to crush bad elements in its territory. On Wednesday (January 18), an estimated 30,000 Ozamiznons marched to a public venue beside the town’ historic structure famously known as Cotta. There was a public outcry to cleanse the city and eliminate once and for all the filthy stigma that has been since associated to Ozamiz City. On that evening, the city government has declared the what it’s called Alsa Ozamiz, a local movement to rally all Ozamiznons to shrug off all dangerous elements that have been corrupting and ravaging the once stellar status of the city. 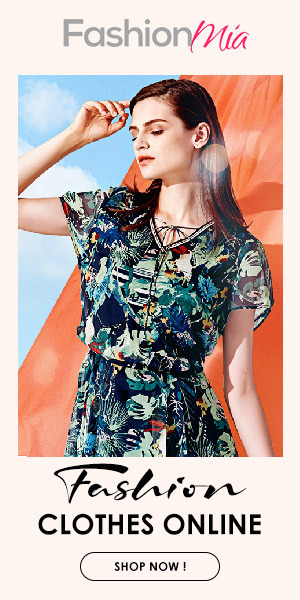 As described by the incumbent Mayor Reynaldo “Aldong” Parojinog, Sr., Alsa Ozamiz bears the same ideals just like his grandfather’s first and original Alsa Ozamiz movement back in the 50s to fight government insurgencies… except that this time, the fight is not against rebels, but to a more profound cause — that is to resist all negative elements in the Ozamiznon society. 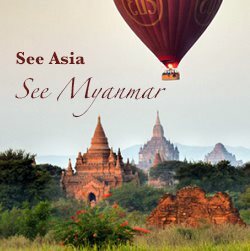 You name it, it’s on the list — from illegal gambling down to illegal fishing and the like, with illicit drugs on top of the list… the city government led by Mayor Aldong are all down to tap it off their city. 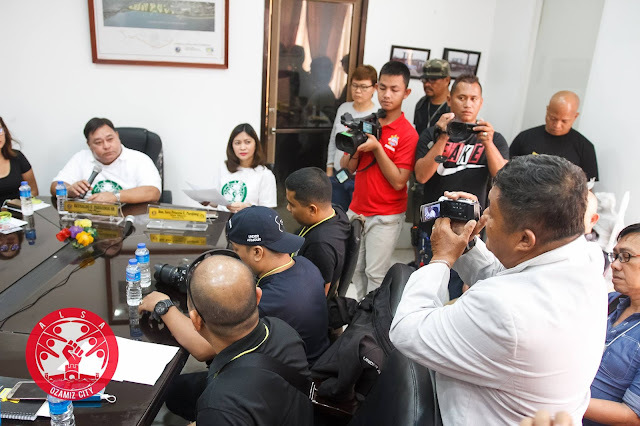 In a press conference held before the evening’s Alza Ozamiz event, the city’s father-daughter tandem composed of Mayor Reynaldo Parojinog, Sr. and Vice Mayor Nova Princess Parojinog vented out their sentiments about the latest accusations against them. Vice Mayor Parojinog cries foul on their critics’ claim that the city’s drugs situation is “rampant.” Vice Mayor Nova Princess said all these allegations are really unfair for all the drugs initiatives that they had implemented in the city long before DU30 came into power. 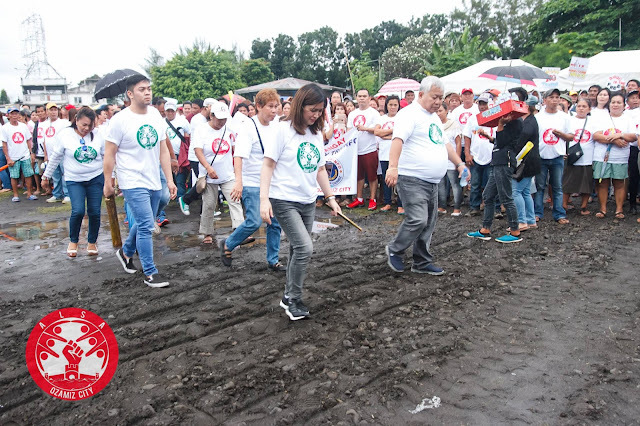 “Dito sa Ozamiz City nuon pa man matagal na kaming nakipag-gyera sa ilegal na droga,” said Mayor Reynaldo Parojinog, Sr.
Mayor Parojinog, Sr. noted that they’ve had this extensive fight against drugs however sadly, all these initiatives all went down the drain for nothing because apparently, their accomplishments just went under the radar of the then police chiefs for some unknown reasons. On the press meeting, the Parojinogs presented a really thick book of the anti-drugs operations report that has been taking place since 2013, long before President Duterte’s massive national anti-drug campaign. Vice Mayor Parojinog noted that the book contains all the reports on the drug raids, drugs suspects arrests and illegal drugs confiscations undertaken by the city hall with the PNP since 2013. “Nuong kasagsagan ng campaign ko against drugs, madaming nagalit sa akin… kahit mga kamag anak ko,” added Mayor Aldong. At one point the Mayor was teary-eyed as he said, “Taga-rito kami sa Ozamiz tapos sisirain namin ang lugar namin?”. Just recently, Mayor Parojinog, Sr. had a meeting with President Duterte who also met other city and town mayors in Malacanang Palace last January 11. Parojinog, Sr. described his meeting with Duterte in Manila as cordial, with the Chief Executive saying that the earlier pronouncement of Parojinog’s involvement in drugs was based on report from regional intelligence units. “Mas lalo kaming maninindigan sa aming laban sa droga bilang suporta sa Pangulong Duterte na handang itaya ang buhay para sa bayan,” stated Mayor Aldong in front of the media team. Of course, being included on DU30’s narco-politician list (from which Mayor Aldong’s case is currently under revalidation) and having this aggressive campaign called “Alsa Ozamiz”, Mayor Aldong Parojinog’s detractors would definitely raise their eyebrows with the coincidence. Additionally, there were social media buzz that Alsa Ozamiz is the Parojinog’s strategy to sack the newly-assigned city police chief Espinido. However, the courageous mayor gleefully revealed that Alsa Ozamiz is actually a joint effort of the PNP and the city hall. 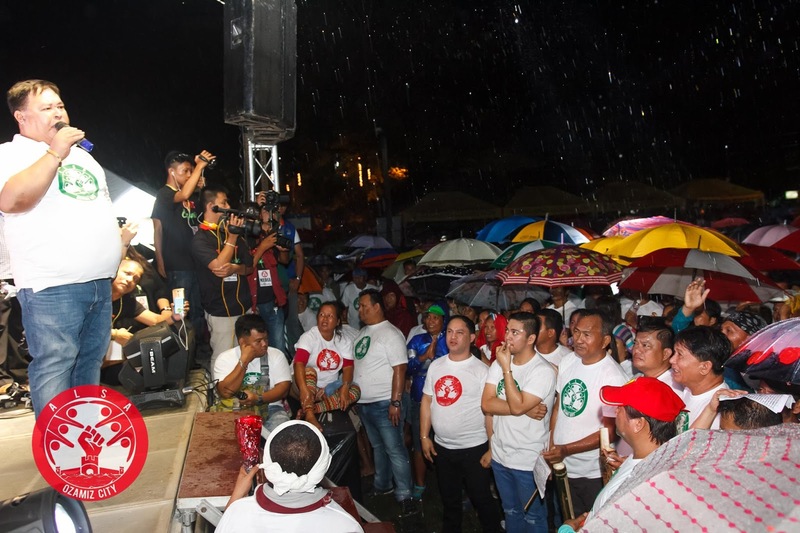 In fact, during the Alsa Ozamiz gathering that night at the Cotta, although not present, the new city police chief had a long VTR message for all Ozamiznons that affirms his support on this anti-drugs initiatives by Mayor Aldong and VM Nova Princess (and the rest of the Ozamiz City Hall). 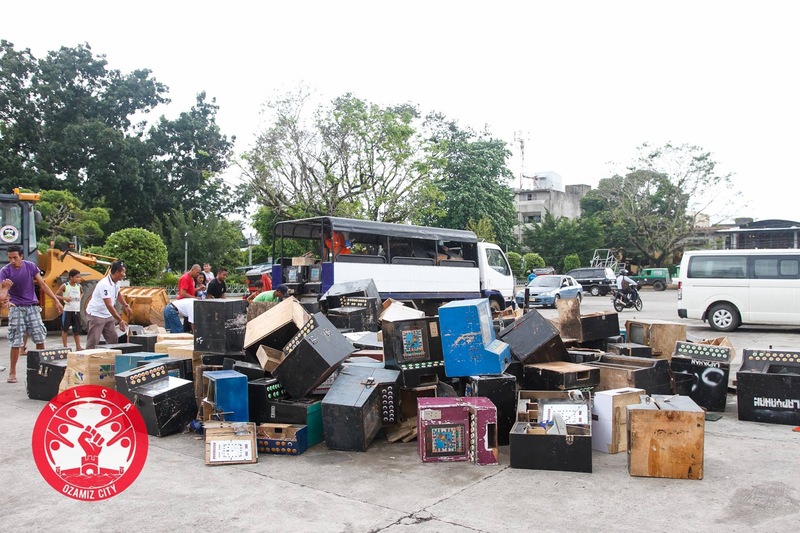 With illegal drugs on top of their list, the leading city officials stated that they have standby programs to support this city anti-drugs campaign. This includes the proposed private partnership with rehabs as part of the follow-up initiatives for “tokhang responders” and also the potent “reward system” when it comes to intelligence gathering, among others. On the eve of the Alsa Ozamiz declaration and right after the press briefing, some 560 videokarera machines that were voluntarily surrendered to brgy captains were crushed altogether by a payloader right in front of the city hall grounds. These videokarera and fruitgame machines are allegedly being used habitually by drug addicts as a fond pastime most notably when they are high on drugs.